Raymond Mhlaba was the first leader to be arrested in the 1952 defiance campaign, during which thousands of South Africans of all races broke unjust laws in a non-violent effort to resist apartheid. In the Campaign for the Repeal of Discriminatory Legislation, known as the "defiance campaign", thousands of South Africans of all races deliberately broke race laws. It has been described as South Africa's biggest non-violent protest action ever. The campaign was conceived towards the end of the "most shameful session" of the all-white South African Parliament, which, during a single session in 1951, placed 75 pieces of apartheid legislation on the statute book, according to MP Naicker, once editor of the ANC's Sechaba newspaper. Planned by the ANC, the SA Indian Congress and the Franchise Action Council that represented organisations of coloured people, it was also timed to coincide with the 300th anniversary celebrations of the arrival of Jan van Riebeeck at the Cape. On April 6, the day on which Van Riebeeck landed, meetings were held throughout the country, Naicker says. Some 15 000 attended in Johannesburg, 10 000 in Cape Town, 10 000 in Durban and 20 000 in Port Elizabeth. At each meeting, "a pledge to join in the struggle against unjust laws was enthusiastically adopted". 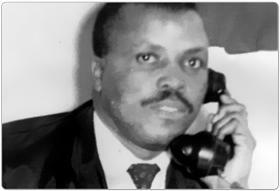 Raymond Mhlaba was the first leader to be arrested in the campaign. From humble beginnings, Mhlaba went to Port Elizabeth in 1942 to join his father in earning money to support their family back in Fort Beaufort. He found work in a laundry within a week of arriving in Port Elizabeth. His job included looking for stains on garments after they had been washed and removing them with ammonia solution. He joined the "non-European" Laundry Workers Union (LWU) and organised and recruited for the union. "Many of us certainly were not graduates from the conventional universities. Rather, we were graduates from the university of life," Mhlaba writes in his autobiography, Personal Memoirs. He was active in a strike of the LWU in 1948, and was fired for "my involvement in the workers' struggle". He worked as a waiter and a "public bar boy" until finding a permanent job as a clerk in a steel company. It was while he was in this job that he arrived late for work because the bus driver was late - a serious problem for many people in Port Elizabeth. So he helped to organise a month-long bus boycott that resulted in black drivers at the wheels of buses in New Brighton for the first time. A tireless activist and a committed leader, he placed himself first in line in preparing for and kicking off the defiance campaign. "We held numerous mass meetings... Police informers recorded some of our speeches. I was most amused to see and read copies of our own speeches." In one speech, at Korsten, police informers recorded him referring to his people as "the underdogs whose actions would be watched by the whole world on June 26". "We held mass prayer meetings months before the date of breaking the laws," Mhlaba says. On the eve of June 26, Mhlaba and 30 volunteers prayed throughout the night at the civic centre in New Brighton. They "left for the New Brighton station in the early hours on the morning". At 5am, "we found sergeants, not even ordinary policemen, waiting for us. All the people from Red Location came to witness this event. "I led the very first group and we entered the 'Europeans Only' section of the New Brighton station. By half past six we were already in police vans on our way to jail. "It turned out that my party was the very first to defy unjust laws in the whole of South Africa. Little did we know that we were making history." Most Port Elizabeth residents "supported the Defiance Campaign with fervour". They gave him the name Vulindlela (open the way), "as I opened the way for others to defy an unjust system". According to Gary Baines in The Shadow of the City, Mhlaba and his group were refused bail and remanded. Mhlaba was sentenced to two months' hard labour or a fine of 10 pounds, with half the sentence suspended for six months. The rest of his group got 30 days or a six-pound fine. "Fines were not paid and all the volunteers served their jail sentences." In Port Elizabeth, volunteers "had on several occasions managed to fill to capacity the city's smart new jail, and police reinforcements had to be drafted in from other parts of the country", Tom Lodge writes in his book, Black Politics in South Africa since 1945. He adds: "Despite the increasingly heavy sentences handed out by magistrates ... almost without exception volunteers opted to serve prison sentences which could last two or three months rather than pay the alternative fine." The campaign was taken up throughout South Africa. But the "most dramatic levels of participation" were in the Eastern Cape, Lodge says. Lodge points out that 71.4 per cent of arrests of volunteers - 5 941 of a total of 8 326 nationwide - took place in the Eastern Cape. In Port Elizabeth, 2 007 people were arrested; East London, with 1 322 arrests, came in a distant second. "A mood of religious fervour infused the resistance, especially in the Eastern Cape." Lodge talks of one August day when, between 12.01am and 8.15am, 11 groups broke railway apartheid regulations at New Brighton and Main City stations; 245 people were arrested. Lodge ascribes the participation to various factors, including high levels of urban poverty and oppression, and the fact that Eastern Cape political leaders, such as Mhlaba, were workers rather than professional elite or intellectuals. From mid-October to early November, the campaign "virtually ground to a halt". In its two main centres, East London and Port Elizabeth, rioting had broken out - arising "essentially out of the increasingly tense relationship between blacks and police which the campaign had generated". According to the Ministry of Education's Every Step of the Way: The Journey to Freedom in South Africa: "The campaign was eventually ended by a combination of factors - outbreaks of violence persuaded the organisers to call it off, but it was also weakened by the government's banning and imprisoning leaders, and introducing legislation to forbid civil disobedience. "But the campaign established the power of non-violent mass action, and enhanced the scale of the ANC as a political organisation: between 1951 and 1953, ANC branches increased from 14 to 87, and its paid-up membership rose from 7 000 to 100 000. "Opposition gained an international dimension when, in September 1952, the Indian government moved in the United Nations that South Africa's race policies be debated by the General Assembly. The UN decided to set up a commission on apartheid, signalling the beginning of a long period of mounting international pressure on South Africa's minority white regime." Mhlaba was one of those leaders banned. He was issued with a six-month banning order under the Suppression of Communism Act in November 1952. He went into exile in 1961 and returned to command Umkhonto we Sizwe in 1962. In 1963, he was arrested, and then tried for treason at Rivonia. Sentenced to life imprisonment, he served 26 years. Mhlaba - or "Oom Ray", as he was popularly known - went on to become the first premier of the new South Africa's Eastern Cape Province at the age of 74. He also served as Ambassador to Uganda and Rwanda. "I opened the way for others to defy an unjust system." In this lesson plan, learners will have an opportunity to study Raymond Mhlaba's memoirs as he related them to a historian in 2001. They will be able to think about the value of oral history and how it provides new insights into events. Images from Raymond Mhlaba’s life and of the Heritage Project’s memorial to his role in the 1952 defiance campaign.